From electric and hybrid cars through to safety features that protect you and your loved ones on the road, every year brings improvements. Buying a car manufactured prior to 2015 could be cheaper, but it may be lacking in the innovative safety features the automotive industry has seen over the past five years. From features that help you avoid accidents in the first place, to those that keep you and your family safe if the unfortunate does happen, cars today are safer than they have ever been. In today's blog, we'll be examining the range of safety features that come standard in new cars, so that you know what to look for when you're buying your next vehicle for those anticipated family road trips. Understanding ANCAP safety ratings is simple - the more stars awarded to a car, the better the car performed in ANCAP's safety tests. These ratings indicate the level of safety provided to both passengers of the car and the driver, as well as pedestrian safety. Their ratings also cover the ability of a car to avoid a crash. As you'll see, a number of modern vehicle safety features are equally focused on crash prevention as well as crash safety. The easiest way to determine the ANCAP rating of a car is to head to their website. Simply enter in the make and model of the car you are looking at to see their ratings at a glance, as well as a more in-depth report that lists particular shortcomings. You can also compare classes of cars, for example, medium-sized SUVs against other medium SUVs, or big cars against small cars. Essentially, adaptive cruise control uses radar (or other technology like laser and optical systems) to track traffic. Its aim is to keep a consistent following distance between your car and the one in front, slowing your car down or speeding it up to suit. Typically, a driver sets a maximum speed, as with cruise control, then sets the desired following distance. The system does the rest. Autonomous braking is part of a broader set of technology aimed at collision avoidance. Through using sensor and radar technology, modern cars can detect objects in the vehicle's path and automatically brake if the driver fails to respond. Autonomous braking support then kicks in in the final stages of a potential collision in order to prevent or reduce the severity of accidents. Lane support systems use radar or imaging technology to recognise lane markings in order to provide support for the driver. Lane support systems can range from autonomous driving that can keep your car tracking through the corner according to markings, through to warnings that alert the driver with visual warnings in the dash or noises. Through visual or auditory warnings, modern cars will let you know when other vehicles enter your blind zones, helping you avoid collision. This is crucial for driver safety, as well as pedestrian safety. Likewise, reversing cameras help us for those tricky reverse parallel parks, so we can avoid collisions with stationary objects or worse, children. To avoid fatigue-caused accidents, vehicles are equipped with in-car fatigue detection and assistance by using sensors that detect fatigue symptoms. 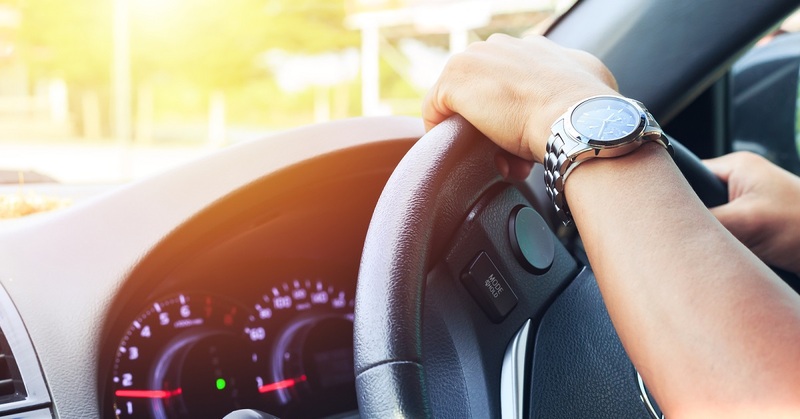 When these symptoms are detected, vehicle software can then prompt drivers, either through auditory alerts, vibrations of the seat or steering wheel, or messages in the dash. The driver is then able to assess and take appropriate action. Make the safety of your family a sure thing.